State Opposition Leader Michael Daley and the CFMEU's Peter Jordan. 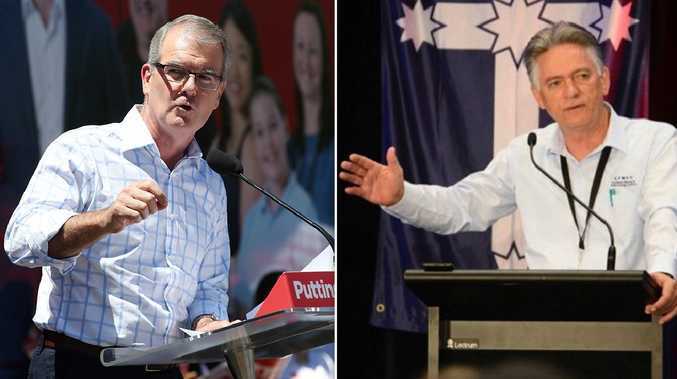 THE powerful CFMEU is targeting NSW Labor over abandoning coal as a split threatens to derail the party's campaign at the state and federal polls. The union's NSW mining and energy arm is considering withholding electoral support for 11 ALP candidates across state and federal electorates in NSW on the basis of an unsatisfactory record in backing coal projects. The Daily Telegraph can also reveal CFMEU district president Peter Jordan has written to new Labor leader Michael Daley, demanding his support for Wyong's Wallarah 2 coal project which received planning approval in January. "You either support this politically motivated act to kill off the mine or you support the legal rights of investors and the hundreds of mining and support jobs and business opportunities that this project will create," Mr Jordan writes in the letter dated February 13. As of last night, Mr Daley had not responded, earning the ire of Mr Jordan who said his specific issues were with the NSW ALP rather than the federal party at this point. Mr Jordan said there was a "growing unrest" in the party over coal. 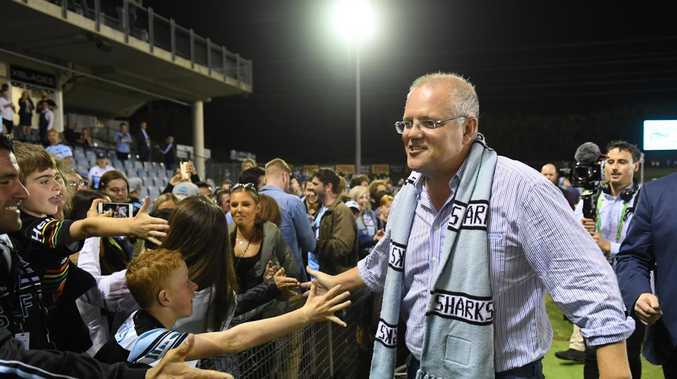 "It might be too early to say it's a full split in NSW but I'm trying to put pressure on to get them to work with and support us. It shows some contempt that (Daley) hasn't responded and that annoys me," he said. The CFMEU has already gone to war with Labor in Queensland over the Adani coalmine and is threatening to campaign against federal ALP candidates who will not support it. Federal Labor frontbencher Richard Marles this week infuriated colleagues by saying it would be good if the thermal coal sector collapsed. 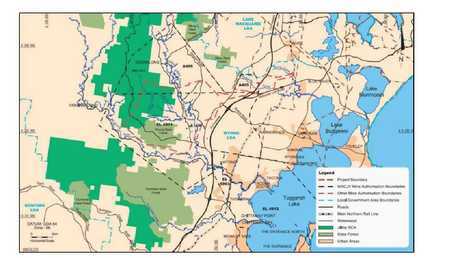 The Wallarah 2 coal project. In NSW the CFMEU has canvassed Labor MPs and candidates across nine state electorates and four federal electorates with a four-question poll on their support for coal in general, which asked about their support for the Wallarah 2 coal project, the Drayton South underground project and protecting mining and energy jobs. Mr Jordan asked state MPs in Swansea, Newcastle, Cessnock, Wallsend, Charlestown, Maitland, Port Stephens and candidates in Upper Hunter and Lake Macquarie. Federal MPs were canvassed in Shortland, Hunter, Newcastle and Paterson. He said he was only satisfied with responses from Upper Hunter candidate Melanie Dagg and Shortland MP Pat Conroy. Mr Jordan has also hit out at shadow Resources Minister Adam Searle and Wyong MP David Harris who both oppose the Wallarah project. Mr Searle said last night: "From time to time the Labor Party will disagree with unions about things." He said he was "not anti-coal or anti-mining" but that Labor had opposed the mine for more than a decade. Several state Labor MPs expressed support for coal yesterday. Cessnock MP Clayton Barr said: "Coal is essential, certainly for my community and certainly for the Australian economy at the moment. We will be digging coal out of the ground, when I'm in the ground." Shadow treasurer Ryan Park who represents Keira in the Illawarra said: "Coal mining continues to play an important role, contributing to jobs, energy and steel production."